Wild-card teams have historically struggled to get past the first round of the NFL playoffs. Getting into the playoffs this season was a tremendous accomplishment for the Seattle Seahawks. Yet here’s Seattle, winning six of its last seven games to finish 10-6 and get back into the playoffs after a one-year hiatus. The Seahawks earned a wild-card spot as the NFC’s No. 5 seed and travel to face the Dallas Cowboys on Saturday evening. It’s a testament to the players and coaches that Seattle, against all expectations, finds itself in its current position. But while getting to the playoffs was a tremendous accomplishment, the Seahawks will need an equally tremendous one if they want to progress. Getting to the Super Bowl, which would be Seattle’s third in six years, will require something special. In all likelihood the Seahawks would have to win three straight road games against quality competition to get there. It’s not an unprecedented feat, but the odds are definitely not in Seattle’s favor. The NFL went to four divisions in each conference beginning in 2002, so we have 16 years worth of data to examine under the current playoff setup. The numbers make for hard reading for any wild-card team. Let’s begin with the wild-card round. This doesn’t actually look imposing to Seattle and the other wild-card entrants. There have been 64 games in the wild-card round since 2002, and the wild-card teams have won 28 of those games, good for a .438 winning percentage. Teams will live with those kind of odds. However, from there things get tough. Of those 28 wild-card teams that reached the divisional round, just nine won to advance to the conference championship, a .321 winning percentage. It doesn’t get any better in the conference championships. Of the nine wild-card teams that reached the conference championship game, just three emerged victorious, a .333 winning percentage. Those two rounds are a wipeout for wild cards. The good news is that if a team somehow survives that gauntlet it has a great chance in the Super Bowl, as wild-card teams are a perfect 3-0 in the big game since 2002: Pittsburgh over Seattle in the 2005 season, the New York Giants over New England in the 2007 season and Green Bay over Pittsburgh in the 2010 season. That makes a certain amount of sense. Once teams reach the Super Bowl they’re back on equal footing. Both teams get an extra week off to recuperate and prepare, both teams have to travel for the game. But the grind of going on the road three straight weeks is evident in the diminishing returns for wild-card teams. — Pittsburgh is in the eastern time zone and in the 2005 season had two games (Cincinnati, Indianapolis) where it not only didn’t change time zones, the flights were both about a hour — though the Steelers did have to travel two time zones to play Denver in the AFC championship game. — New York is in the eastern time zone and in the 2007 season the Giants faced Tampa Bay (eastern), Dallas (central) and Green Bay (central), so the they were never more than one time zone away from home. — Green Bay is in the central time zone and in the 2010 season traveled to Philadelphia (eastern), Atlanta (eastern) and Chicago (central), so the Packers also never had to travel more than one time zone. Meanwhile, Seattle is staring at a lot of frequent-flyer miles. The Seahawks are traveling two time zones from the western to the central to face Dallas. Should Seattle win that one it faces either the Los Angeles Rams, who are a couple hours away but at least in the same time zone, or New Orleans, which is back in the central. Beyond that Chicago (central) is thrown into the mix as a possible NFC championship game opponent, with the minuscule possibility of the reprieve of a home game should fellow wild carder Philadelphia also advance that far. And in recent years the higher seeds seem to have figured out how to leverage their advantages over wild-card teams. Since 2010 wild-card teams have just one victory beyond the wild-card round, going 1-for-11. The number crunchers don’t like Seattle’s chances, either. The statistical website FiveThirtyEight.com has the Seahawks with just a 7 percent chance of reaching the Super Bowl. 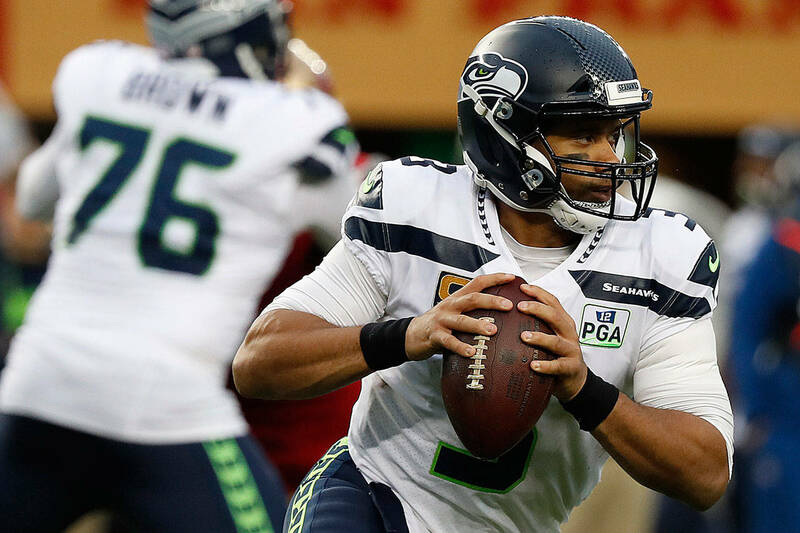 FootballOutsiders.com’s DVOA playoff odds like the Seahawks even less, giving Seattle a mere 4.4 percent chance of making it to the Super Bowl. So the odds don’t favor Seattle. But then again, this been a season for the Seahawks to defy the odds. They’re just going to have to do it one more time. Follow Nick Patterson on Twitter at @NickHPatterson.